Dr. Brian P. Coppola was appointed as the Grand Editor in the winter of 1998. Dr. Brian P. Coppola is Arthur F. Thurnau Professor of Chemistry at the University of Michigan. He currently serves as the department's Associate Chair for Educational Development and Practice, and also as the Associate Director for the University of Michigan-Peking University Joint Institute, in Beijing, China. Dr. Coppola received his B.S. degree in 1978 from the University of New Hampshire and his Ph.D. in Organic Chemistry from the University of Wisconsin-Madison in 1984. Moving to Ann Arbor in 1986, he joined an active group of faculty in the design and implementation of a revised undergraduate chemistry curriculum. His 1996-7 tenure review established a new policy within the College of Literature, Science and Arts at the University of Michigan, recognizing discipline-centered teaching and learning as an area that can be represented within the LSA departments. He was promoted to Full Professor of Chemistry in 2001-2. 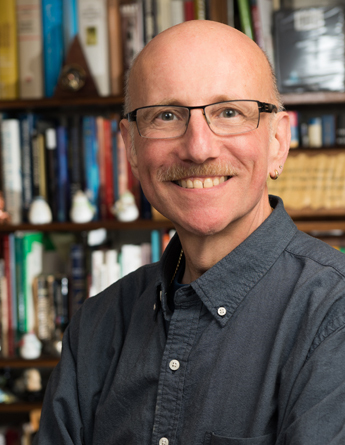 His publications range from mechanistic organic chemistry research in 1,3-dipolar cycloaddition reactions to educational philosophy, practice and assessment. From 2002-12, Professor Coppola served as the department's fifth Associate Chair for Curriculum and Faculty Affairs, and in 2012 he was appointed as the first Associate Chair for Educational Development and Practice. In this capacity, he is primarily responsible for directing of the department's future faculty program, in which undergraduate students, graduate students, and post-doctoral associates work with faculty members on teaching and learning projects within the department's curriculum (see:https://sites.lsa.umich.edu/csie-um/). In 1994, Dr. Coppola received the 4th campus-wide "Golden Apple Award" for outstanding teaching, a recognition organized and administered solely by undergraduate students. In 1996, he was awarded a United States Department of Energy, Undergraduate Computational Science Education Award. In 1998, Dr. Coppola was selected as part of the first group of Carnegie Scholars affiliated with The Carnegie Foundation for the Advancement of Teaching's CASTL program (Carnegie Academy on the Scholarship of Teaching and Learning). In 1999, Dr. Coppola received the Amoco Foundation Award for Excellence in Undergraduate Teaching; and in 2002 he was elected as a Fellow of the American Association for the Advancement of Science. In 2003, he received the Kendall-Hunt Outstanding Undergraduate Science Teacher Award from the Society for College Science Teachers. In 2004, he was named the State of Michigan Professor of the Year in the CASE/Carnegie US Professor of the Year program; in 2006, he received the American Chemical Society's James Flack Norris Award for work that has impacted the field of chemistry education. In 2009, he was selected as the CASE/Carnegie US Professor of the Year (for doctoral institutions). In 2012, he received the 2012-14 Robert Foster Cherry Award for Great Teaching. In 2015, he was named an ACS Fellow. He is a member of the editorial board of The Chemical Educator, The International Journal of Science Education, the Journal of Science Education and Technology, and the Journal of Chemical Education.